Jackson, Tennessee recording artist DaTBoYZ3L is still making rounds with his 2016 full length, debut album, "DaTBoY". Z3L has dropped numerous singles and videos from the project such as "Stressing". Wasting zero time, he continues to stride ahead and announced his forthcoming album, #DatSeason, and it's lead off single, "Danger". Aside from music, Z3L is hard at work branding his movement and plans to launch many more items from his clothing line. Just recently, DBZ made the trek from Jackson to Atlanta for a promotional run for the "Stressing" single. 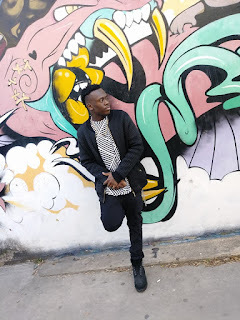 After returning home, having successfuly linked with prime DJs in Georgia, Z3L connected with the Memphis-based BrinkTV for his first ever video interview segment. They spoke about his name origin, "DaTBoY", his clothing line, upcoming album and much more. Watch the full interview here and stay tuned for "Danger" to premiere very soon.